We see lots of ramen shops, chinese restaurants, and seldom we see vietnamese. 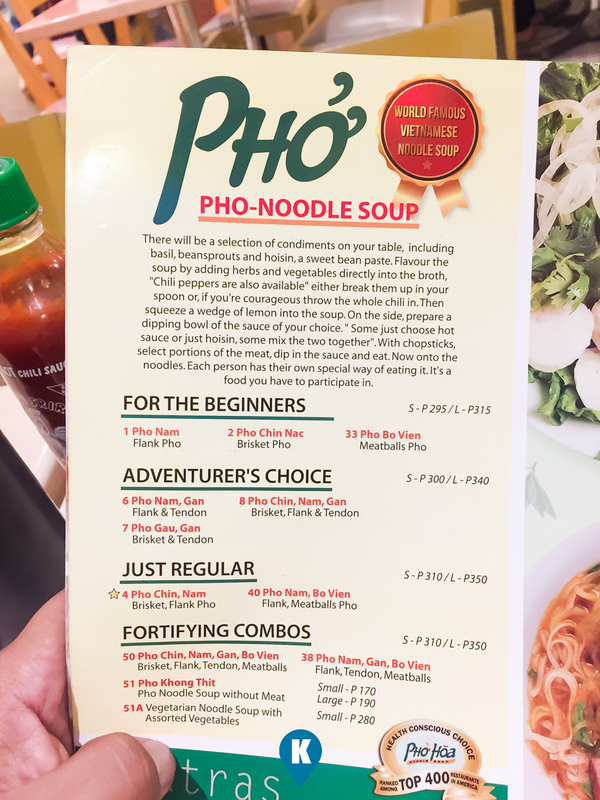 For this installment of our food review we are trying out Pho Hoa in Alabang Town Center. Pho is a vietnamese soup stock made from beef or pork and usually includes noodles and slices of beef or chicken. 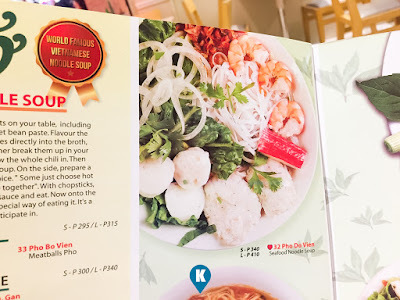 So Pho Hoa is a vietnamese restaurant offering what else that we love? Noodles. 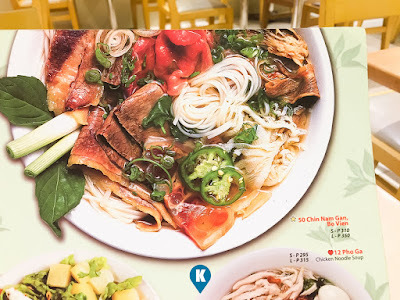 We ordered the beef flank noodles and it took some time to be prepared. It looked good on the menu so we kinda hoped it would look the same and would taste as great as it looked. 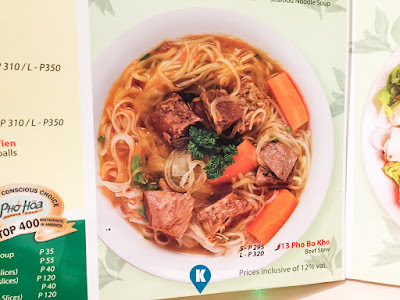 Sadly it didn't looked the same as its picture, no wonder there. It's not common to find a dish that looks similar enough to be recognized with the photo on the menu. Still, it took time some time to be served. My order came in with the bean sprouts (togue) and mint leaves in a separate platter. I wondered how am I going to eat this? Will I dumped them all in the soup? 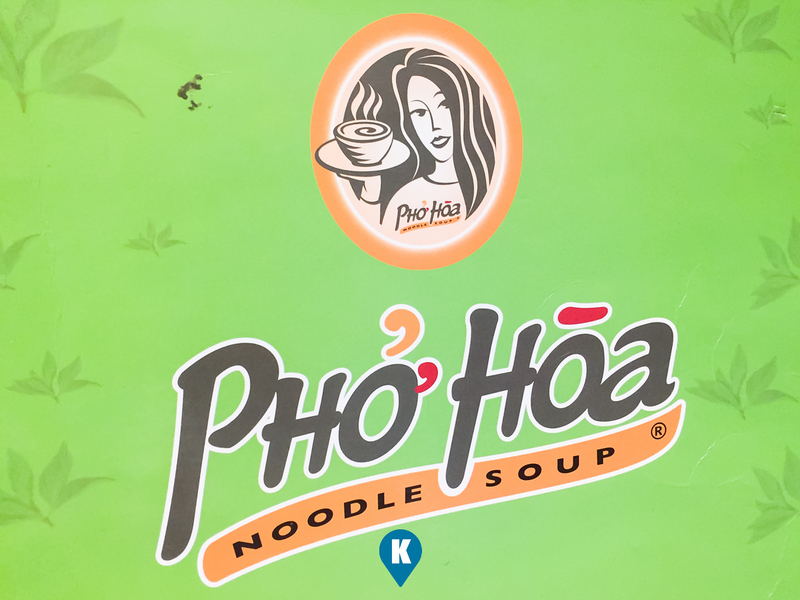 Will I eat them after I have taken some of the soup? I had to ask directions from their willing and able staff. After getting some few pointers I decided to go with my gut feel as I didn't still understand how to eat the togue and mint leaves with the soup. I simply dumped them in the soup and pray it tastes great. 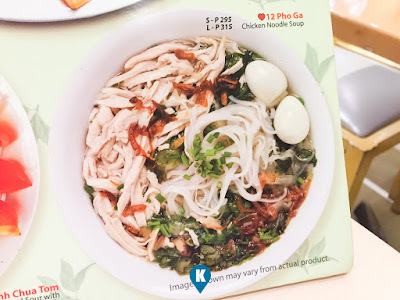 I maybe doing it wrong (please somebody email me at submit.katooga@gmail.com as to the proper way of eating this) as only the bean sprouts tasted great when I dunked them in the soup. The mint leaves however did not taste great (as usual) nor it flavoured the soup better. 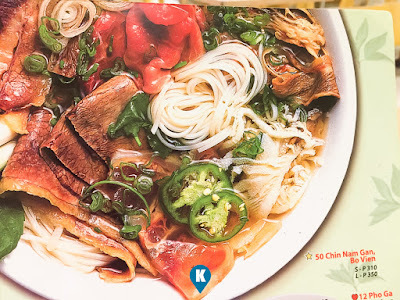 The ingredients in my soup was nice but somehow the whole vietnamese noodle soup somehow is something alien to my taste buds. It needs to get used to the taste I guess. Can't complain on the noodles and stuff, its only the soup base that I can't quite guess right. Not that its bad, its just me not getting it quite right. Serving wise, their Small is quite a mouthful already. Glad I didn't order the bigger serving as this one really got me full already. It had the right amount of ingredients as well. Very nice indeed. Ambiance? You get what you pay for. The dining area is immaculately clean and spacious. Lots of tables means you can get a seat even with lots of around. Nice design as well, very pleasing to the eyes. 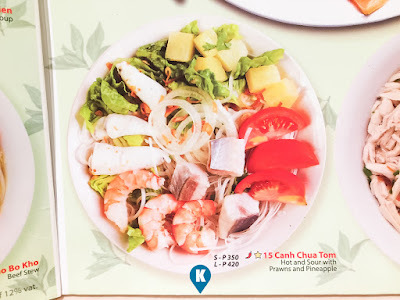 Now Price wise Php310 for the small serving. 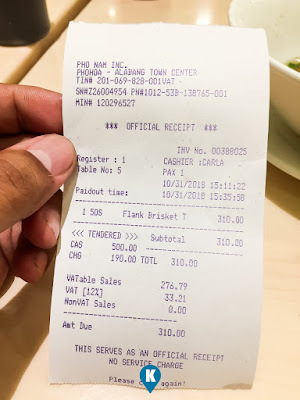 Quite pricey for a budget conscious person like me, I can have 3 one piece chicken meals from a fastood chain with some extra rice in comparison. 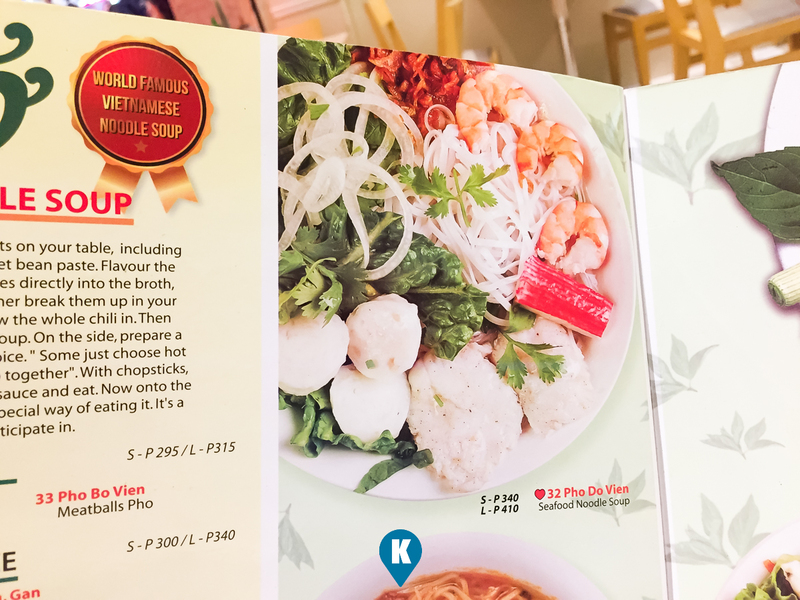 But having a vietnamese noodle dish is something much more. Sometimes its nice to splurge a little to have an exciting life. Life is meant to be lived as they say. 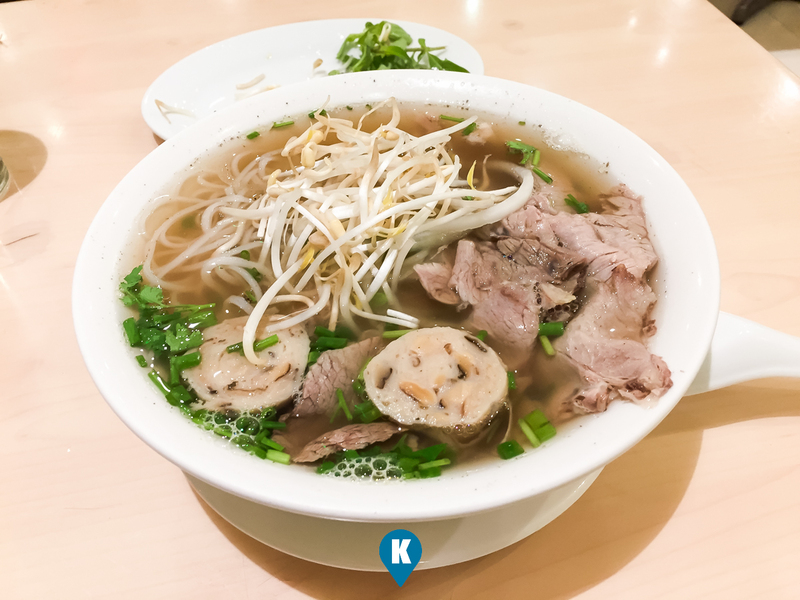 You won't break the bank if sometimes you get something delicious such as a Pho.